All the excitement has finally gotten to you and here it is that you have just now decided to throw a Big Game party in time for this Sunday. You can do this. Don’t worry, LendingPoint has your back. 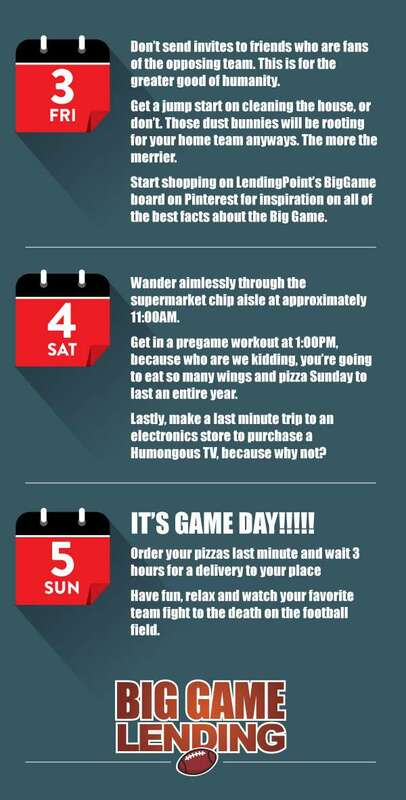 Check out our Big Game Procrastinator Planning Prep Guide.